Condoleezza Rice is one classy lady. She is arguably the best Secretary of State in my lifetime. And apparently, according to Phil Mickelson, she has a hell of a golf game, particularly when it comes to putting. Rice was recently a part of history when she, along with Darla Moore (partner at the investment firm Rainwater Inc.), were selected to become members at The Augusta National Golf Club, the holy grail of all golf clubs in America and home to The Masters. Rice and Moore made history because they are the first women to become members at the exclusive golf club. Augusta’s members include some of the most powerful businessmen in America. It’s no secret that The Augusta national Golf Club has a history of being a “good’ol boys club” known to be exclusive and secretive in a way. To give you an idea of just how exclusive this club is, it was rumored to have denied Bill Gates membership for over a decade because he was quietly trying to campaign to get himself in (he is now a member, but apparently it took the better part of a decade). Augusta has been accused of being a sexist club and just as bad, a racist club (mind you, the racist club remarks come solely from liberal lunatics living in the past and just trying to get face time in front of the camera.. more on that shortly). The sexist accusations surrounding the club are pretty baseless in my opinion. Sure, Augusta members were all male prior to Rice and Moore’s induction, but is there something wrong with an all men’s club? I certainly don’t have a problem with all women clubs? I mean hell, if Augusta is being attacked for being sexist, we should attack Curves weight loss centres for discriminating against men! I know a lot of men who would love to join Curves. I’m writing this article because I’m disgusted at what Marc Lamont Hill, a Columbia University Professor, said about Condoleezza Rice after she had been elected as a member of Augusta. After listening to this liberal professor’s comments, I now understand why university graduates in America are having a tough time finding employment. Just listen to this guy – click here. What the? Is he really trying to play the race card? It’s called progress. This is a good thing. 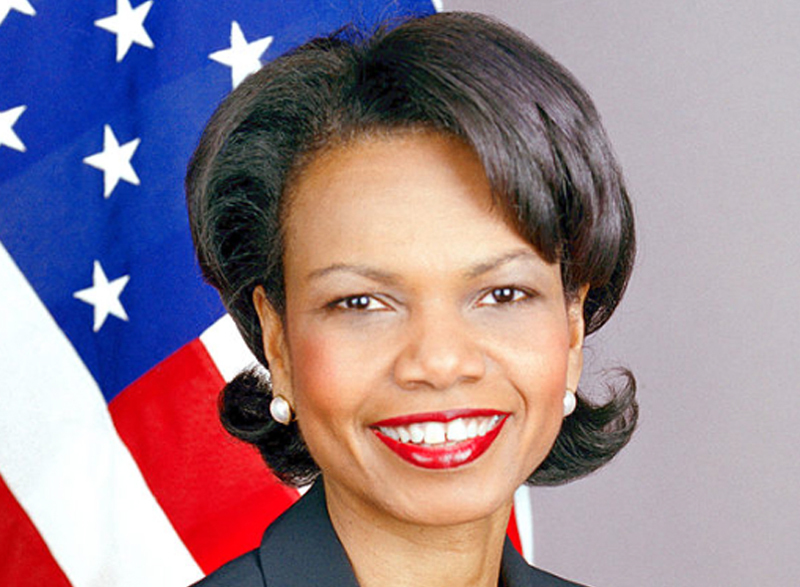 Let’s celebrate the fact that Condoleezza Rice is the first black woman in the club. And get your facts straight professor; she is now one of two women in the club. She isn’t alone in a scary place with no other black people or no other women. These liberals love playing the race card when a black conservative is in the spotlight. They love to try and make the conservative black person feel like they are a part of an evil white empire. It’s pathetic. What’s more pathetic is that this Marc-Lamont-Hill-character is a professor at Columbia! He should’ve known better. One last thing… Marc, not only are you sad for trying to drum up racial divide, you need to buy a sport jacket or nice sweater for the next time you are on TV. Don’t wear a T-shirt on television if you want to be taken seriously. This kind of stuff enrages me. I need to stop here. The Spotify Business Model: No Guts No GloryStartup ClickChores Enters the Booming Micro Job Market – Can it Compete?